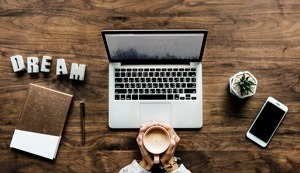 If you are currently employed but thinking about how to retire and work from home, you can actually start a preparation right now, and enjoy the process of it. That's how I retired from my daytime job 2.5 years ago, and if I can do it, you can do it better with a good long term plan. The first question you're asking yourself may be whether to look for a new employment opportunity on a part-time basis, or to work for yourself. My answer is definitely the latter. Many people seek for a work-from-home employment opportunity such as virtual assistant or database entry jobs for flexibility. Of course, advantages of working for a company include guaranteed salary, sick-pay, bonus incentive schemes and various employment protections. But you'll still be in a controlled environment. You'll have to continue to negotiate over pay and other rights from time to time. Your performance will be monitored and reviewed. You won't have a decision making power and complete freedom that you want. There's only one reason why people want to retire early - for freedom. They want to spend more time for something else rather than work. Such as for family, for health reasons, flexibility for travelling, etc. And they no longer want their job to disrupt their freedom. Your reason must be something similar too - that you want to take more control of your life and be stress-free. 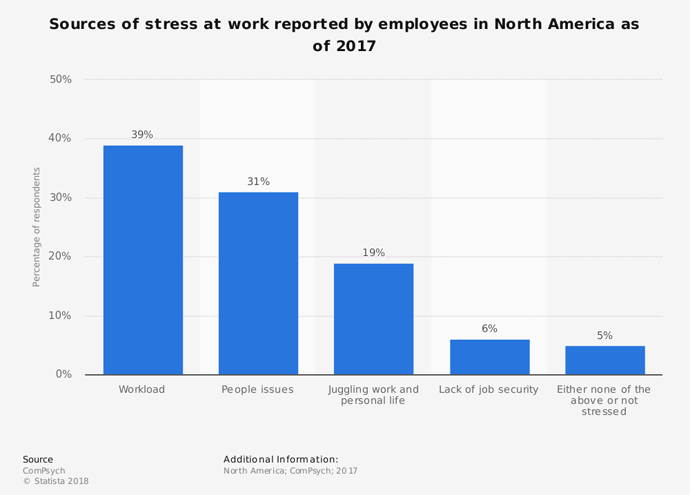 The statistics show that 39% of employees in North America say their workload is the cause of stress, while 31% say it's the people they're having to deal with. Hardly a surprise, right? Perhaps these are the reasons why you may be considering early retirement, too. Your stress level can be dramatically reduced by working from home. You won't have to see your coworkers who you don't get on with, you may not have to get up early in the morning, and you may be able to catch up with your work any time of day or night. But still - so long as you work for someone else, you cannot decide your own workload. If you cannot finish your work by the deadline, your ability will be judged by the employer and that can affect your future salary or work relationship, hence another stress. Of course, you cannot be completely stress free by being self-employed. But think about it - if you like working in team, like to create a buzz, to value harmony and synergy, like to encourage one another and grow together...you're probably not reading this? If you do, you'll struggle with isolation and loneliness by retiring early. What I love about working on the internet on my own is the fact that everything that I do is under my own control and being in the 'no office politics, no interference' environment. 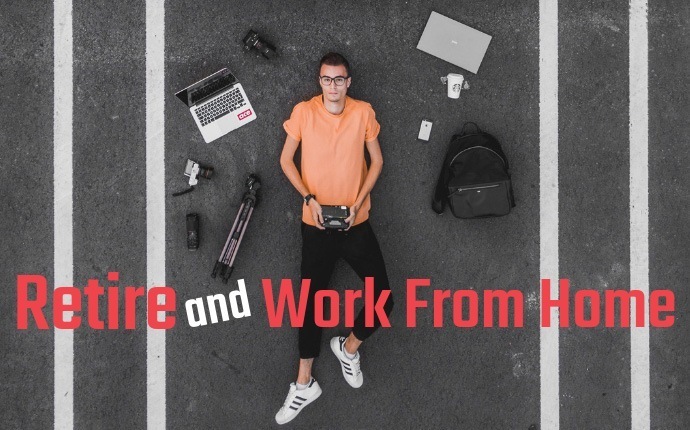 These problems can be avoided easily if you start working online from home as a hobby, and quit your day job when the money starts to roll in periodically. Next I'll tell you how I started to work for myself on internet. I first started my online business just for fun, using a couple of hours in the evening. I started drop shipping which I initially thought was great. 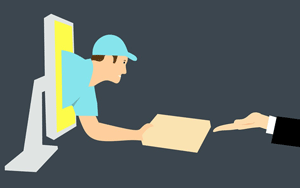 Drop shipping is one of the most popular internet jobs across the world. For example you open your store on eBay and decide to sell household appliances. Amazon sells a coffee machine for $50. You sell the same machine for $70 on your eBay store. A customer buys it from your store and pays $70 to you. You immediately order the same machine from Amazon and arrange to send it directly to your customer, pay $50 to Amazon. The difference of $20 will be your profit. Item go missing or out of stock - you have to liaise with both your customer as well as your supplier (Amazon in the above example) pretty swiftly, and arrange a refund if your customer wishes. Keep monitoring all the order statuses closely, say twice a day at least. For the above two reasons, I felt that my day-to-day life is tied to the customer service management. If I didn't respond quickly enough, I could receive a bad feedback and that would affect my reputation. So it became a routine to check customer orders 3 times a day, and I found it stressful as I was still working in the office full-time. When a routine becomes stressful, that's when you lose interest in the job as a whole. I stumbled upon Wealthy Affiliate as I was just about to lose interest in my drop shipping business. There was everything I needed to start an affiliate marketing business - to build a WordPress website within minutes, plus a fair good amount of training that covers blogging technique, vast amount of community support, Q&A's, live chat and weekly webinars. I loved blogging, and within 2 months I started to make affiliate commissions. After 6 months, I started to receive enough money and suddenly my retirement plan became a reality. I made sure my monthly income would be as much as what I was earning from my day job as an accountant. It was time for me to go free - I quite my job and have never looked back since. I want you to know that there really was no magic there. I'm ordinary, and I'm not even a native English speaker. So as I said in the beginning of this post - if I could do it, you could do it even better! Blogging allows you to express yourself, write about what you love, hobby, or something that you have a good knowledge of. But of course you need to know certain SEO technique for your webpage to be ranked in search engines. Wealthy Affiliate offers pretty intensive courses for you to learn all about it in your own good time. If you want to experience what I experienced - you can create your account for free and give yourself a blog test drive and see how I feel. No credit card required. I recommend it as the best way to retire and work from home without stress. Give it a try today!